A sleek and calculating woman as skilled as Bayonetta. Her abilities imply that she too was training in the ways of the Umbra Witches. But when and how? Further, her powers show that she has entered into a dark pact with a demoness by the name of Madama Styx. Possessing the same dark powers and consigned to the same demonic pact, this mysterious provocateur appears unwilling to stop at any cost. Often appearing along Bayonetta's course at the most unlikely of times, she provokes Bayonetta with an icy stare and cryptic verbal taunts. 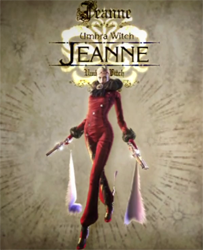 Jeanne obviously holds some information about Bayonetta's past, but her ultimate goal is unknown. Does she desire Bayonetta's death, or is there more to her hidden agenda? Sophisticated, cunning, and fast, this mysterious woman wields her own unique set of enchanted handguns as she pursues Bayonetta doggedly. Fragmented memories and the briefest of flashbacks tell Bayonetta that she and Jeanne are somehow tied together, but by what bond? If only she could remember! Will Bayonetta be able to unravel this mystery before it is too late? Friend or foe, Bayonetta refuses to stand down. 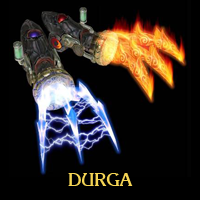 The soul of Durga, said to be a demon with a thousand arms, is imprisoned within these razor-sharp claws. From the portal at its hilt, the weapon can summon 2 types of arms, Fire and Lightning, to bear against enemies. yoshesque: I honestly don't get the hype with these weapons. They're good, but I don't like using them much. Protip for new players: spin the left stick and press the button (hands/feet) they're equipped on to change the element. 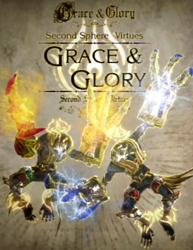 Grace, draped in flame, and Glory, controller of lightning, are the twin escorts of the Creator. They share a wild disposition, and are often depicted as gods of war, heroically leading the soldiers of Paradiso into battle, with their giant, claw-like weapons being symbols of their ferocity. Humanity recognises the increased spiritual power of twins, a power that comes from the blessings of Grace and Glory. 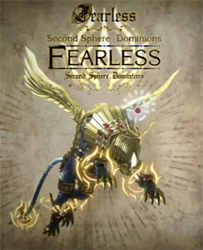 Fearless are classified as Dominions, the fourth rank amongst the hierarchy of angels. Controlling the lightning feared by many as the instrument of divine justice, Fearless make known the majesty of God to the masses. Almost all of the naturally occurring lightning in the world is a result of the actions of these angels. It is said that divine wrath against gluttons is released in the lightning's flash, as the thunder signals heaven's roar. 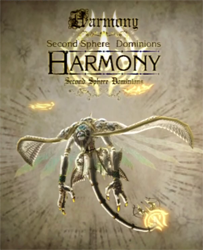 Within the Second Sphere Dominions, whose name imparts feelings of control, sovereignty, and governance, the angels named Harmony stand as a special symbol of peace. When appearing in our world, it is said that humans experience their presence as an aurora-esque light; however, when viewed from Purgatorio, one would see Harmony embracing humans within their outstretched, fin-like wings. Often pictured holding a trident and floating through the skies, Harmony are tasked with defence of the heavens, even within Paradiso itself. 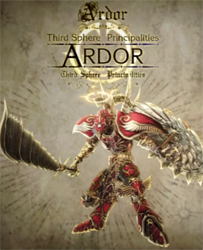 The highest ranking member of the Third Sphere, Ardor are christened with the rank of Principalities. Presiding over the protection of the masses from evil spirits, they are equipped with a shield and armour of proof. Wielding the power of Paradiso on those who encroach upon happiness, Ardor are recipients of much adoration from those seeking salvation. 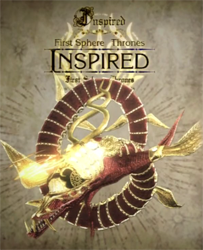 Inspired are members of the angelic First Sphere, in the rank known as Thrones. Those in this class are spiritual beings of the highest order, never meeting directly with humanity. Works of art have depicted them as flaming wheels; however, artists of true inspiration have pictured Inspired as a long snake-like body circling upon itself. It is often though that Inspired acts as a wheel, holding up the chariot of the beloved God. In truth, Inspired are actually fighting alongside their angelic cohorts, randomly swallowing up the followers of darkness. Long ago, two clans, the Umbra Witches and Lumen Sages, oversaw the passing of history while balancing each other's power. To recover her lost memories, Bayonetta once again throws herself into the fight between light and dark. Why is this mysterious woman chasing her? What does she know? "Now that you've returned, my sleeping beauty, it is time to finish that fight." As overseers of history, the Lumen Sages and Umbra Witches were both incredibly powerful, each fearing each other and strictly prohibiting inter-relations as a way to maintain the balance of power. Upon the annual occasion of a total solar eclipse, only the selected elders of each clan were allowed to meet with the other group to conduct negotiations. I suppose that each clan, drawing their power from the sun and the moon respectively, must have held the eclipse as the most special of celestial phenomena. The two clans, inexorably linked but opposed, like positive and negative, solidified this relationship in their inter-connected mountain hideaways, the witches sanctuary of Crescent Valley, and the sage sacred Sunrise Valley. Located in an inaccessible and treacherous region, these areas were lined with countless rows of stone monuments dedicated to each clan's dead, and large statues depicting a witch and sage stood at the centre of the shared area, demarcating the border between each clan's territory. Each statue has its back turned to the other, and their visages, as though rejecting any human intrusion, stir intense feelings of discomfort within one's soul. Atop these statues, the clans met for their yearly consort, giving this place a mysterious, but interesting ambiance. These valleys were not just filled with memorial tombs, they were also home to training facilities in the light and dark arts, held as sacred ground by both clans. Today, the statue of the Umbra Witch is a truly gruesome sight, as a giant spear has pierced the woman's chest. If it was shoved through the statue during witches age of persecution, it would have required unspeakable power from the Lumen Sage who carried out the act. The Umbra Witches' sacred Crescent Valley is said to contain enormous relics hearkening back to the valley's place as a training ground in the witches' supernatural magic arts. The long bridge that snakes between the cavernous ravines of the valley, stone circles hinting at celestial principles, training chambers where death was wagered in hopes of polishing one's skills in life... All of these are depicted in the tattered records I have obtained. I know not if they ever truly existed; however, the magnificent appearance of the witch statue in the distance seems to indicate that the legends passed down through history are, in fact, real. 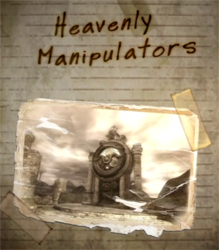 Amongst these numerous artefacts, the most mysterious are those known as "Heavenly Manipulators". I have already described how the Umbra Witches drew their power from the darkness, and the Lumen Sages from the light; however, I have not mentioned how these powers were at their greatest during full moon or at the peak of the sun's ascent. The two groups created the Heavenly Manipulators to affect the movement of the moon and sun, and these devices played a role in the clans' most important of ceremonial rites. If stories are to be believed, the clans could affect even the ways of the cosmos at will. The powers of the witch and sage were not common knowledge; although as overseers of history, one could imagine that they must have had appropriately powerful abilities, making their ultimate destruction an even more ironic end. Beginning in the 15th century, the whole of Europe had been swept by a madness; a tragic event unprecedented in the whole of human history - the witch hunts. 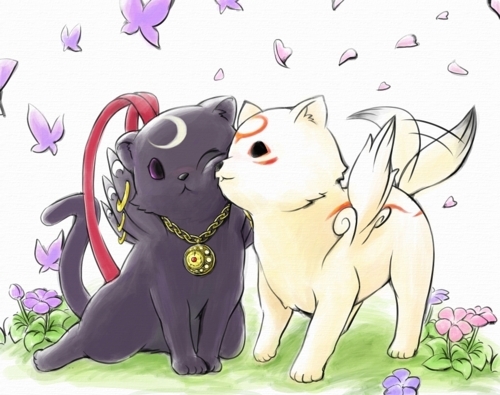 As a result, the dark clan of Umbra Witches were wiped from the pages of history forever. Working at the behest of the powers that be, and making use of their ancient magical arts, the witches watched over the passage of time within the human world. Or at least they did, until suddenly being swept up in waves of persecution, and finally crumbling away under the pressure of the people's harsh recriminations. 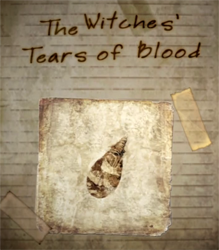 The women's sorrowful blood-stained tears crystallised into bright red gemstones, and according to Vigridian legend, are said to be scattered everywhere. These stones, filled with their feelings of regret, are known as Umbran Tears of Blood. To this day, the people of Vigrid believe that should one hundred of these stones be brought together as one, enormous calamity shall befall the land. Yet, no one has actually seen one of these gemstones, the ultimate of witchly souvenirs. They must be found for you by a crow, a beast whose heart lies in resonance with these departed witches. These crows act as the witches' loyal servants, protecting their tears from falling into human hands. Vigrid is littered with the legacies of an ancient age. Amongst these are the stone coffins used to bury departed witches. Along with their fellow overseers of history, the Lumen Sages, the Umbra Witches used their incredible powers to repel any intrusion upon Vigrid. 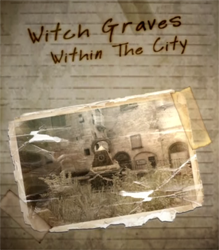 Under these auspices, the witches abode by the terms of their netherworldly contracts, and upon parting with the physical world, the strongest of the witches were deified as guardians, and buried in stone coffins throughout the town. These stone coffins were sealed tight, and it was said that only those with knowledge of a witches' magic could open them. Even during the witch hunts, when the coffins were subjected to attempted demolition, not a single soul was able to peer into the contents within. According to one theory, the contract with their demon master stipulates that upon leaving this earth, a witch's soul nor body can remain. It is said Umbran burial customs were developed for that very reason. The women would bury their loved ones in treasured stone coffins to lessen the pain of those destined for Inferno, even if the effect was slight. Today, unable to break the magic seal upon the coffins, the Lumen Sage Seal of the Sun has been placed upon the stone sarcophagi as a counter-weight. If by chance the power of witches were to return to this world, they would be prevented from opening their coffins due to the seal. This is a clear indicator of the sort of persecution these women were subjected to during the witch hunts. While the whereabouts of the witch tombs is outlined above, the location of the tombs for the Lumen Sages remains unknown. 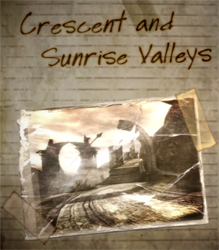 According to remaining records, they had taken up final resting places with the Umbra in the secluded region known as the Crescent and Sunrise Valleys. It is said the Lumen Sages, who conducted their duties not in the darkness but the light, rest peacefully in their valley after departing from this world. Finally, there are rumours that somewhere in Vigrid, research is underway to extract the Spirit Energy from the departed witches. It seems that the fate of the Umbra Witch and Lumen Sage has yet to be truly decided. There is a place beloved by wanted men and rogues, where money and power rule all. It is where I have established my office. Those who call this place by its given name are instantly identified as newcomers, as the tired hands of the rathole all call it by a single name only - The Dump. Bloody battles and dirty disputes over money are an everyday occurrence here, and the concept of concern for one's fellow man was long since lost on The Dump's denizens. What the people here are after, what they love to see, is not of this world. They thirst for the uproar only the occult can inspire. The appearance of a spectre, a man being devoured by a demon... These are the snacks they eat as they drink and cavort in The Dump's numerous watering holes. It is this place that I have come on my pilgrimage in search of a grasp on reality. The Dump is a wretched hive for all sorts of scum and villainy; home to everyone from black market business men, to informants, and devil hunters in between. But amongst them all, one man is particularly strange. 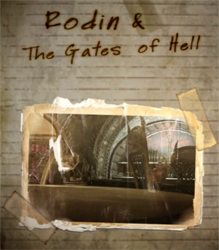 His name is Rodin, proprietor of "The Gates of Hell" bar. His front may be that of a bartender, but rumour has it that he is actually an arms dealer. Of course, if a man such as myself were to visit his establishment, there is no way all of his secrets would be laid bare; however, I can tell just by the air around him that he is a dangerous man. Unlike the standard assortment of thugs in this place, his is a sort of danger on a truly different level. According to my colleagues, if one carries enough clout here, Rodin is known to provide a gun or blade should the fee prove satisfactory. That is all I have been able to wring out of people here. There are also rumours that if you enter the bar from some sort of hidden entrance, he will provide you things that money cannot buy... Or so sayeth the gossips in this occult obsessed town. They even go so far as to say these things are not made via normal means, but are weapons made from materials available only in Inferno. In The Dump there are enough rumours to rot one's ears, and if I hadn't seen the fresco of the Trinity of Realities, a staple of the Vigridian religions, on Rodin's wall, I would have dismissed talk of him as nothing more than these tall tales. In any case, if I am able to fully investigate this man's secrets, I will surely be able to obtain the truth I so desperately seek. However, aimless sniffing around in this town is a great way to wind up dead. I'll have to be prudent, and not leave things to chance.